DENVER and LONDON, January 29, 2019 — Ping Identity, the leader in Identity Defined Security, today announced it has been named an overall leader in the latest “KuppingerCole Leadership Compass for CIAM Platforms” report. Effective CIAM may go beyond traditional IAM in providing solutions to capture consent to comply with privacy regulations, manage customer identities at massive scale, enable customer-friendly multi-factor authentication (MFA), and other capabilities that aren’t present in traditional employee IAM solutions. The criteria evaluated in the Leadership Compass report reflects the varieties of use cases, experiences, business rules, and technical capabilities required by KuppingerCole clients today, and what they anticipate clients will need in the future. Product Leader. The research reinforces that Ping Identity’s CIAM solution suite is available for either on-premises or cloud deployment and offers customers excellent standards-based support to achieve their objectives. Innovation Leader. The report notes that companies positioned as innovation leaders take a customer-oriented upgrade approach, delivering customer-requested cutting-edge features, while maintaining compatibility with previous versions. Market Leader. This category is an amalgamation of the number of customers, number of managed identities, ratio between customers and managed identities, the geographic distribution of customers, the size of deployments and services, the size and geographic distribution of the partner ecosystem, as well as financial health of the participating companies. Ping Identity is awarded either “Strong Positive” or “Positive” ratings across the areas of security, functionality, integration and interoperability. With the Ping Intelligent Identity Platform, enterprises can benefit from a full-service CIAM solution which offers flexible deployment models with services available for both on-premises and cloud. The solution features secure single sign-on, a high-performance directory to manage structured and unstructured data, data governance, multi-factor authentication and intelligent API security, all through one seamless, integrated platform. With the recent launch of PingOne for Customers, a self-service IDaaS solution, developers can rapidly and securely embed customer IAM capabilities like authentication, registration, profile management, MFA, and more into their applications. PingOne for Customers is built on a tenant-in-tenant architecture with native support for hybrid IT and identity standards. For more information about Ping Identity and its solutions, visit www.pingidentity.com or download the report here. 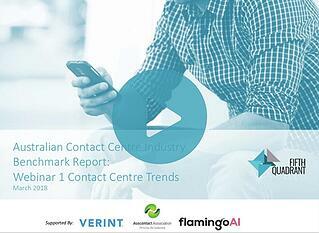 View Our Contact Centre Benchmark Video Series!